The Centre for Analysis, Scientific computing and Applications (CASA) combines all activities related to analysis at the Department of Mathematics and Computer Science of Eindhoven University of Technology (TU/e). Its major research objective is to develop new and improve existing mathematical (both analytical and numerical) methods for a wide range of applications in science and engineering. This area of research is commonly known as Computational Science and Engineering (IAM-CSE). CASA has an extensive expertise in the analysis and numerical simulation of problems that can be modelled through differential equations. It includes various aspects, starting with the modelling process and up to the visualisation of the (numerical) results. Most of the research projects are funded by external grants, research councils or the industry. Extensive collaboration with researchers in the technical sciences as well as co-operation with industrial partners is vital. 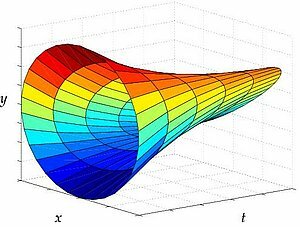 The field of Applied Analysis brings together many mathematical topics, such differential equations, dynamical systems, variational calculus, functional analysis, geometry, and approximation theory. The Applied Analysis (AA) Group focuses on the interaction between these mathematical disciplines and the real world around us. Mathematical Image Analysis is the branch of the broad field of image analysis that concentrates on mathematical foundations of image acquisition, analysis, and visualization algorithms. The Mathematical Image Analysis (MIA) group focuses on differential-geometric and topological methods for the analysis of complex (high-dimensional and/or high-codimensional) images. Scientific Computing is a fast-growing, highly interdisciplinary field that brings together methods from numerical analysis, high-performance computing and various application fields. The Scientific Computing (SC) group conducts research in this area and provides better simulation tools aimed at many different applications.